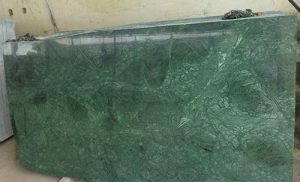 Indian rainforest green marble from the land of desert Rajasthan, India, is a globally-recognized marble stone product. It is demanded by marble importers, construction companies, agents, architects, and direct customers. The reason behind this huge demand is its candid looks and durability. In addition, it is impression of a dense teak forest on the stone that simply steals the show. 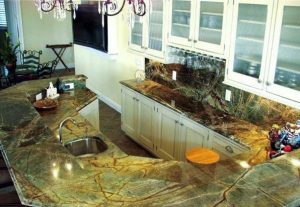 Thanks to the presence of dark brown veins on the surface for making the stone look positive on various surface of your living space. International buyers flock to India to get this destination-based stone that is unparalleled in beauty, texture, and functionality. • A big block is cut into slabs and book matched. • Two slabs are cut and polished to create mirror images. 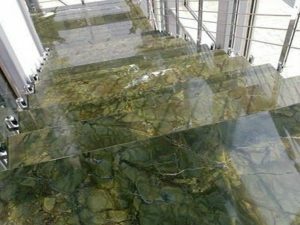 • Application of a polyester resin is done to seal naturally-occurred voids. • Next stages comes in is polishing. • Arrangement of slabs is exercised to allow a steady flow in pattern. • Containers carrying a particular load of marble are shipped to the targeted destination. 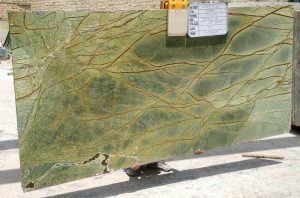 It is likely that international buyers find the veining pattern and the base color one shipment of rainforest green little different from the other. It may happen due to the extracting of marble from a particular section. 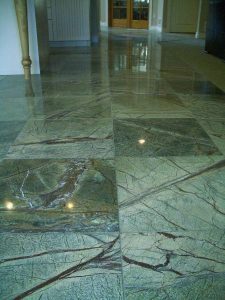 There are multiple applications of marble products within a domestic and commercial ambiance. 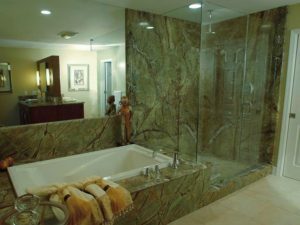 From floors to walls and from countertops to steps, there are multiple applications of marble tiles, blocks and slabs. 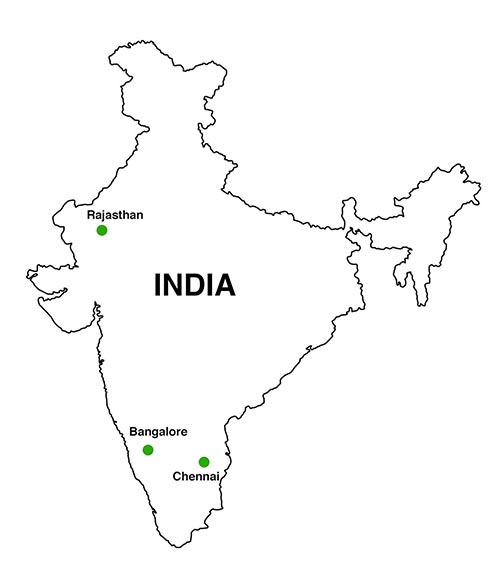 There is a famous adage titled ‘Seeing is believing.’ That is why international importers and buyers need to shake hands with certified marble suppliers in India and know how this marble product will look in their living space. 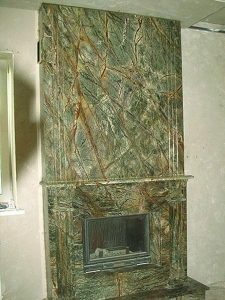 Just go through some of the images below for having a virtual tour of stone installation within your domestic ambiance. 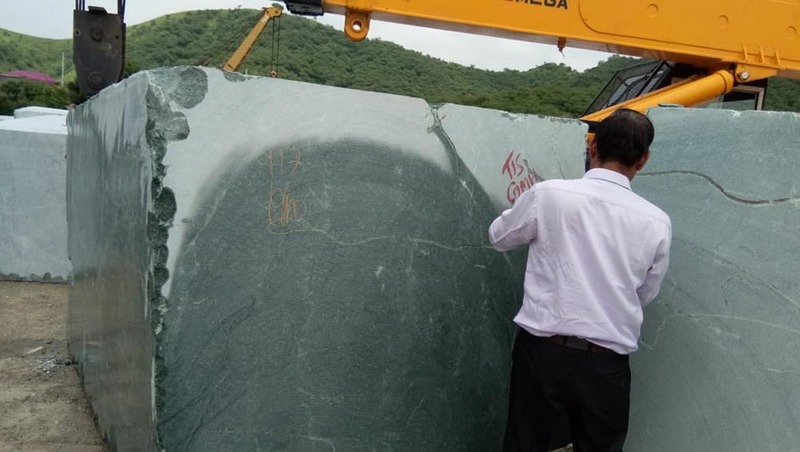 Keeping the changing needs and preference of rainforest green marble importers in mind, Indian natural stone company Regatta Universal Exports India offers top quality Indian marble blocks, slabs and tiles products in a green hue. For complete product information or sales inquiry, please go through our product gallery or demand an instant quote by filling the form here. 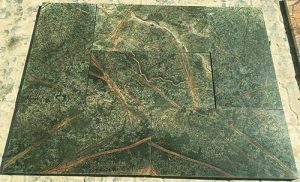 Whether you are searching for customized or standard tiles and slabs of rainforest green marble, we are always ready to extend a helping hand and resolve all your problems and queries amicably.